In a Periscope livestream today, Twitter CEO revealed the platform intends to open up the verification process to all accounts. The intention is to open verification to everyone. And to do it in a way that’s scalable, where [Twitter] is not in the way and people can verify more facts about themselves and we don’t have to be the judge or imply any bias on our part. He didn’t elaborate further, but this is a common solution that’s been in circulation for some time, so we can speculate a little. Essentially, anyone that asks for verification, and was willing to provide the necessary documentation to prove their identity — perhaps by connecting Google or Facebook accounts, or providing government ID — would get the same blue tick commonly reserved for celebrities, journalists, and other public figures. 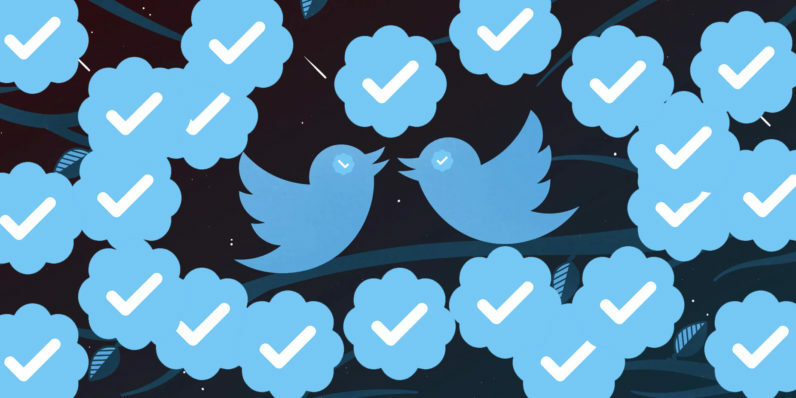 What started as a way to verify identity has since turned into a seal of approval, at least in the eyes of some Twitter users. Journalists like Milo Yiannopoulos, for example, caused quite a stir after being stripped of his verification badge and then ultimately receiving a ban for continued rule violations. To outsiders, the common thread was that Twitter had become a political force, and was responsible for de-verifying users it didn’t agree with, which certainly isn’t the case. For Twitter, it seems to have recognized that the best place in this debate is on the sidelines. By verifying all accounts, it puts the onus of truth on users, allowing it to merely hold accountable those who misbehave. And as an added benefit, it creates authority in those that use their actual identity, rather than the trolls and bots who often harass under a perceived veil of anonymity. Dorsey confirmed as much in a comment to The Verge, saying the platform values both anonymous and identified accounts, and wants to offer a safe place for people to speak their mind. It can’t get much worse. Let’s give it a try. Read next: Federal judge to decide: Can Trump legally block people on Twitter?